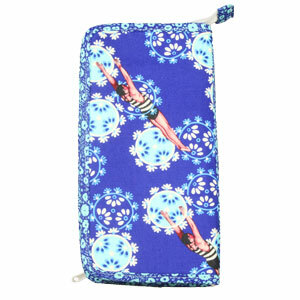 A zippered case just for Double Pointed Needles and Crochet Hooks with built in Notions Case on the outside. 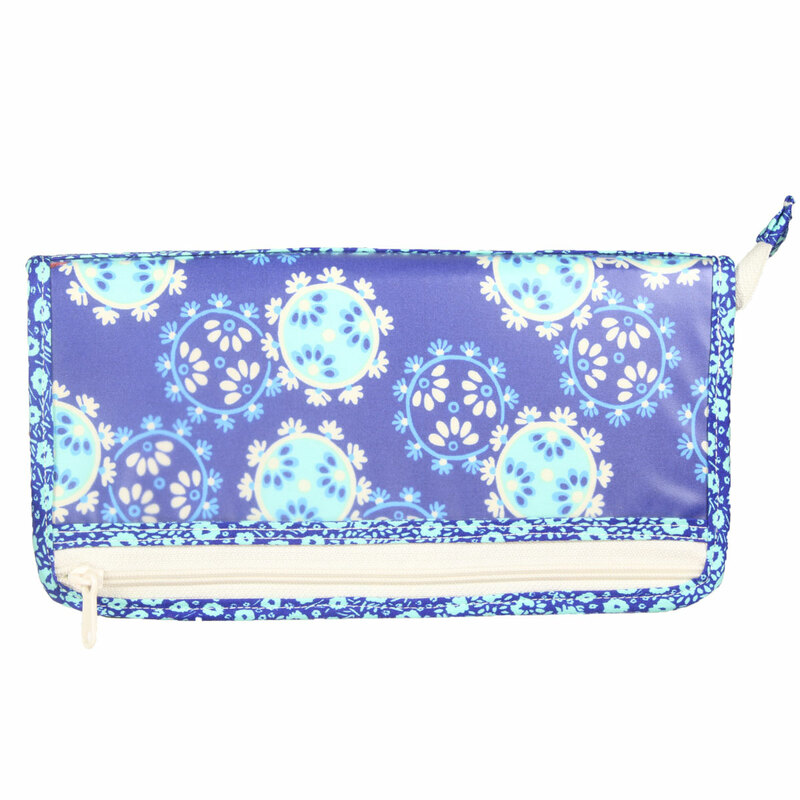 Two rows of 8 pockets inside are varying widths to accommodate multiple sizes and amounts of needles and hooks. Top row holds 7 lengths and bottom row holds 5 or longer lengths. See-through flap prevents slippery needles and hooks sliding out of the case when opening or closing. A WET Erase marker can be used on the vinyl flap to mark the contents of each pocket. A Dry Erase marker can also be used but will rub off with use. The Wet Erase marker is similar but must be wiped with a damp cloth to be removed. 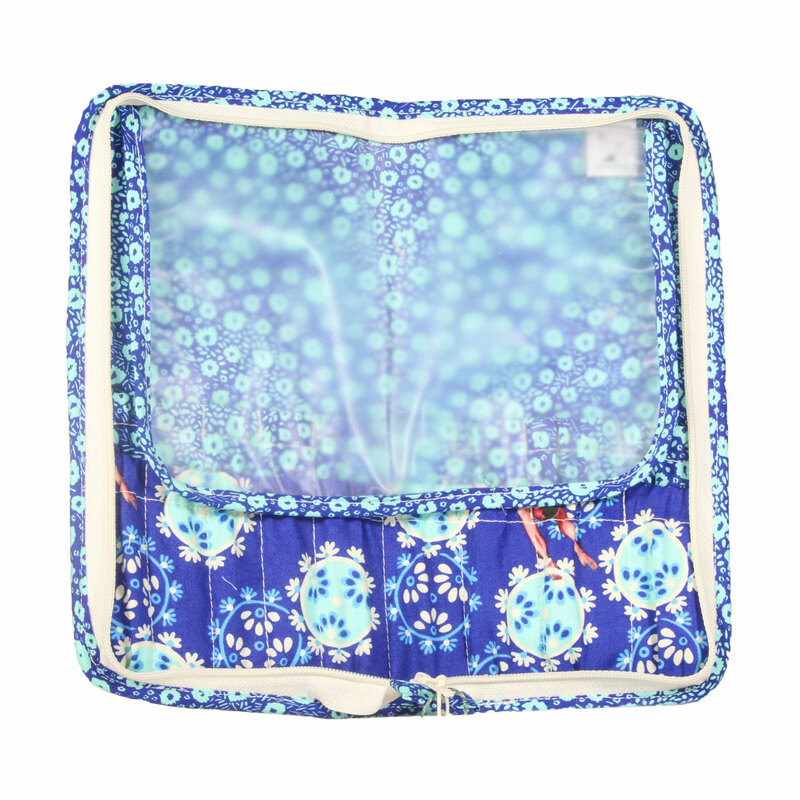 Built-in zippered Notions Case on the outside back is just as roomy as the stand alone Notions Case and still includes the small interior pocket for small items. Beaded zipper pulls. Namaste Maker's Wallet - Teal (Loaded) and Namaste Maker's Notions - Pouch - Mint (Loaded) are both similar accessories: needle and accessory organizers.